The alternative? 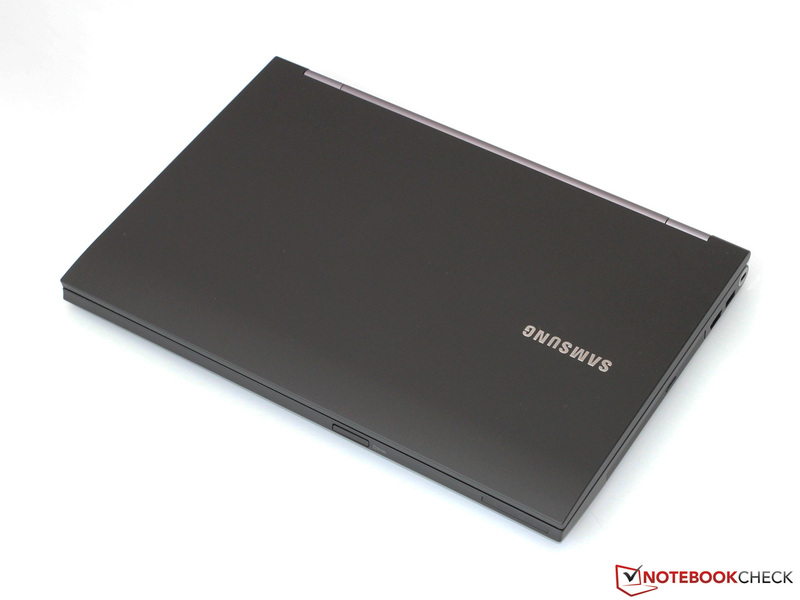 If you are looking for a business notebook, Samsung is not the first name you would think of. This should change with the 400B5C. Is this 15-inch model, with its built-in UMTS, precise workmanship and various safety features, the new ThinkPad killer? The classic, often bulky business notebook is not extinct yet and still appeals to corporate users. In addition to the usual industry leaders like Lenovo (ThinkPad), HP (Pro-/EliteBook) and Dell (Latitude), Samsung has also established itself in this market segment. The South Korean manufacturer has positioned the 15.6-inch Series 4 400B5C notebook in the 800 to 1100 Euros (~$1048 to $1442) price range. Our test model is the top of the range one (400B5C-H02DE) and not only has a Core i5-3210M and a 128 GB SSD, but also features mobile internet access via the 3G module. 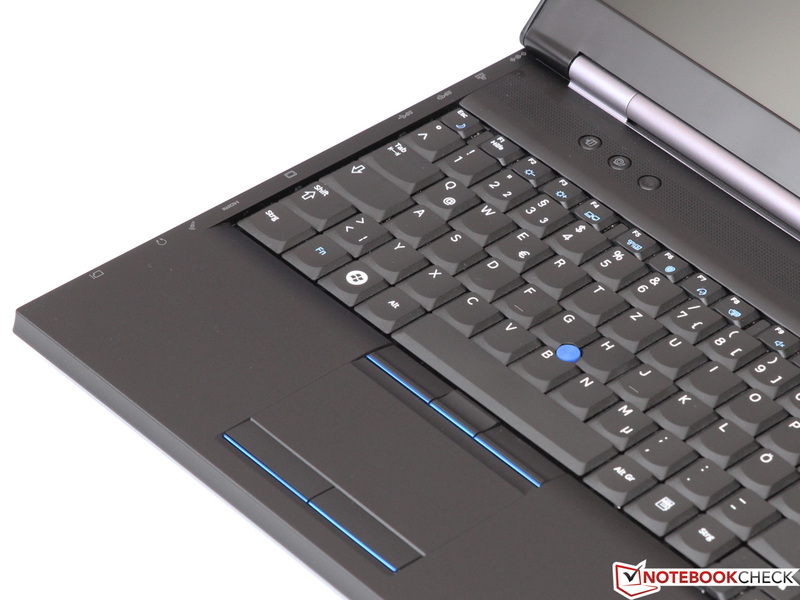 The rest of the specifications include 4 GB of RAM, a matte WXGA display and integrated graphics, which are not exactly the highlights of the notebook and are shared among all the models. 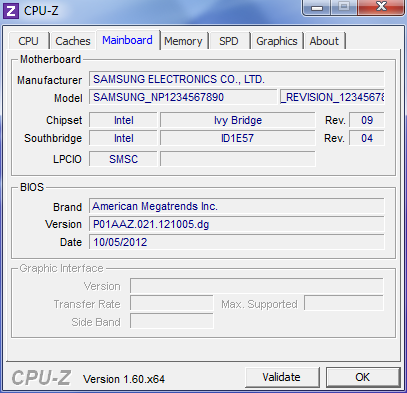 To the liking of many companies, Samsung has installed the "old" Windows 7 Professional 64-bit, because Microsoft's newest operating system does not hold a particularly high value in the business sector. 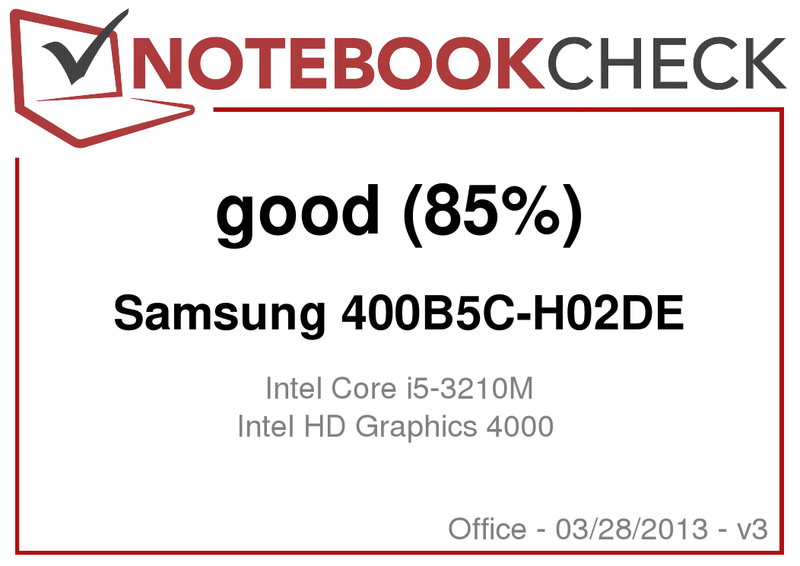 In order to rank the 400B5C among the competition, in the following review we have chosen three alternative notebooks. The test candidate from Samsung must prove its qualities against Lenovo's ThinkPad T530, HP's ProBook 6570b and Dell's Latitude E6530. One of the important reasons causing the high price of professional business notebooks is the construction of the casing. It should meet specific requirements in terms of stability, quality and ergonomics. In marketing jargon, Samsung has named its case "Duracase Pro", which is standard for every version of the Series 4 laptops. The manufacturer also boasts that the chassis can withstand loads of up to 500 kg and drops from a 76 cm height - a promise that we are not keen on testing in practice. But even during normal everyday use, the case leaves a convincing impression. 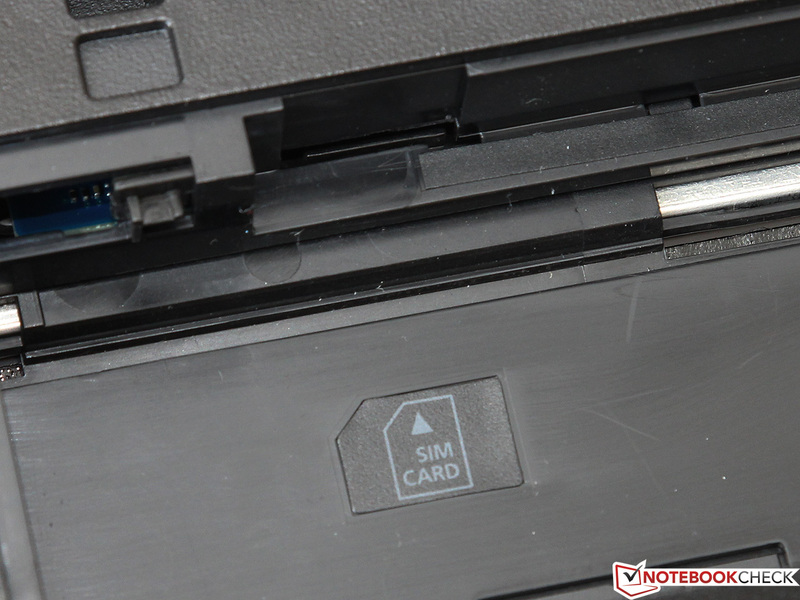 The matte black plastic is visually appealing and its high-quality feel cannot be compared to the cheap plastic used in affordable consumer notebooks. Equally impressive is the excellent durability - even strong pressure on the usually weak spots, such as above the DVD drive, is met with practically no deformation. 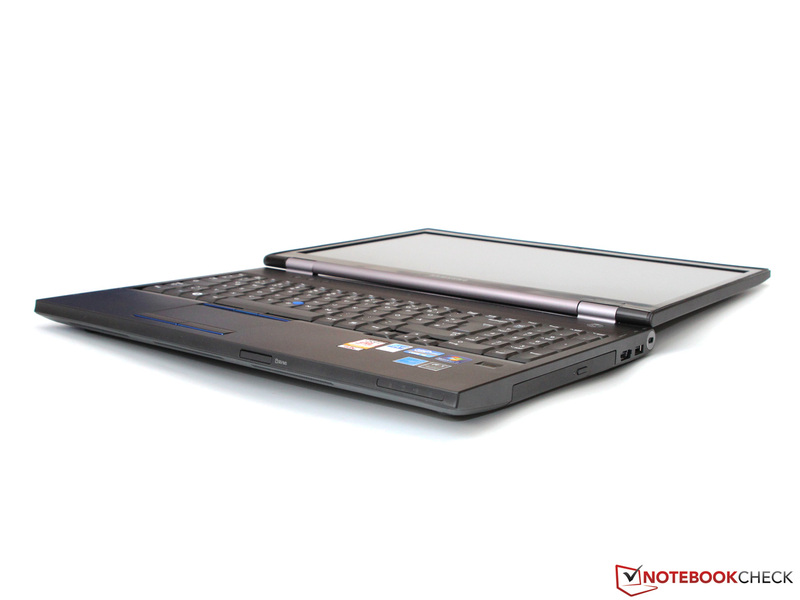 All this comes at the expense of mobility - the notebook weighs 2.5 kg and is 3.6 cm thick. The display is held by two tight metal hinges that work with high precision. There is only minimal teetering and the notebook requires two hands to be opened. A practical rubber strip protects the keyboard from dirt. The display lid is just as stable as the base unit. 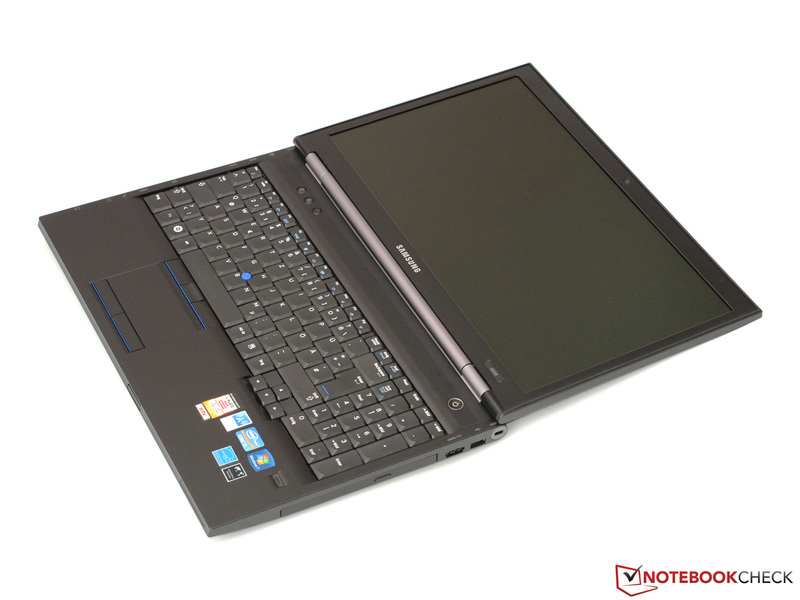 In comparison to the predecessor model, the 400B5C has made a significant step forward and can now compete with Lenovo's T530. 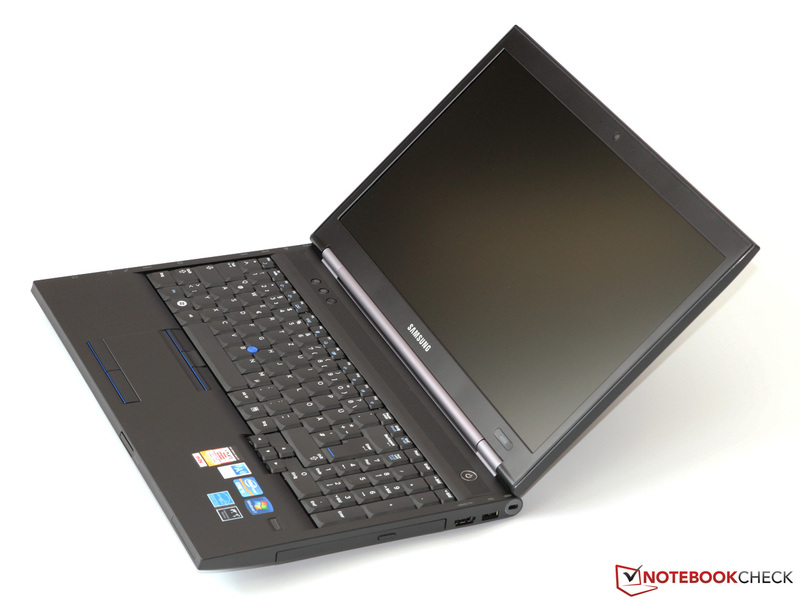 But first place is still occupied by Dell's Latitude E6530 – even the impeccable workmanship of the Samsung cannot dethrone it. Similar to the slightly modified chassis, the interface package has also been lifted directly from the older 400B5B. 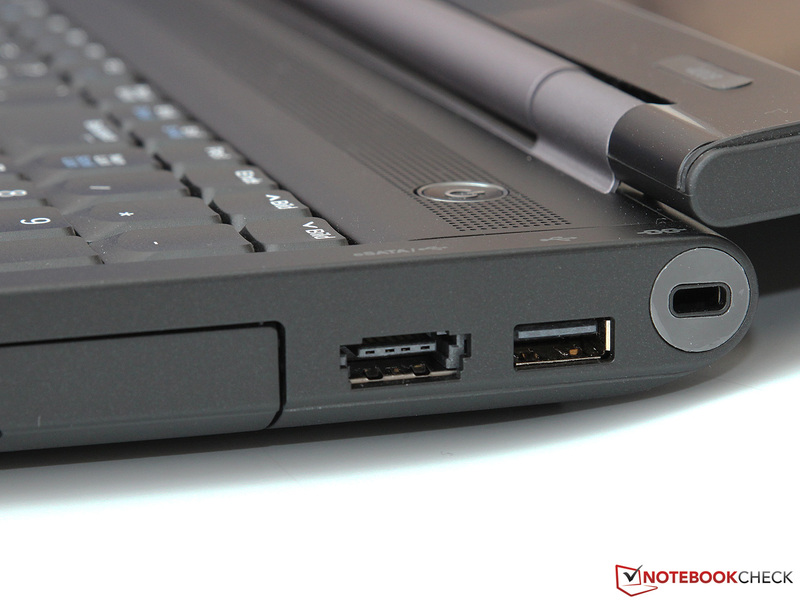 The notebook is generously equipped with four USB ports, two of which support the fast USB 3.0 standard. Handy: one of the USB 2.0 ports doubles as an eSATA port, which is (or rather was) widely used in external hard drives. 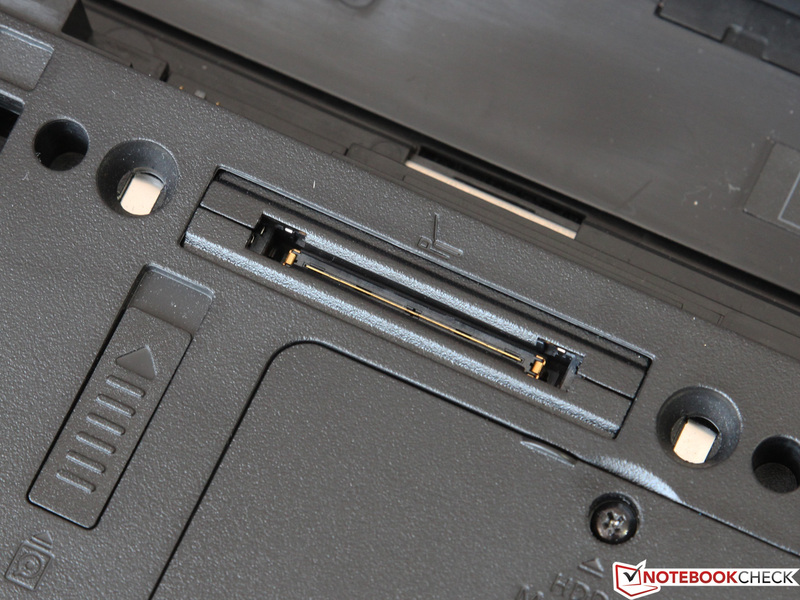 Further ports, such as FireWire or RS232, can be easily upgraded via the ExpressCard/34 slot. We are only missing a DisplayPort, which is particularly important for high-resolution external monitors. As an alternative we have VGA and HDMI. 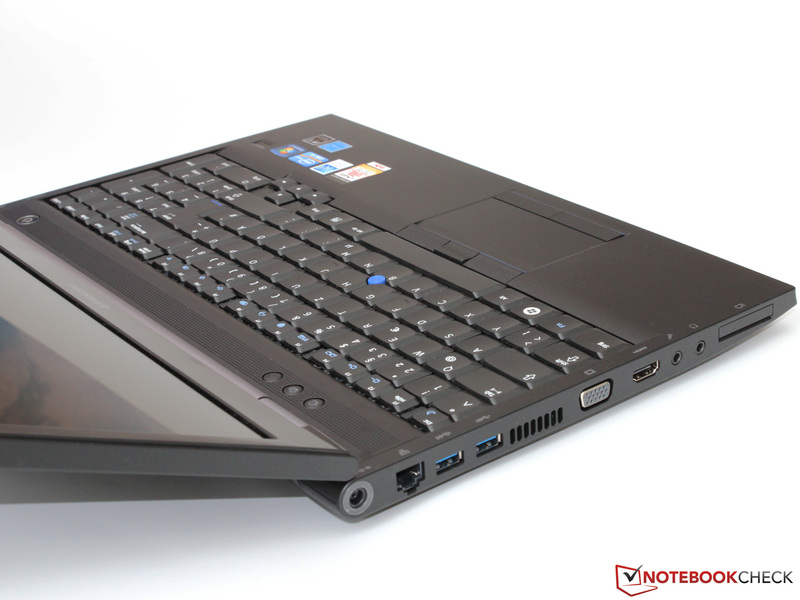 The rivals from Lenovo, HP and Dell all have equipped their notebooks with that particular interface. Samsung customers on the other hand, can only resort to a 150 Euro (~$196) docking station. Overall, the interface positioning is rather good, although we would have preferred to have the LAN port at the back. All ports have sufficient space between each other and are easily accessible by the user. In terms of (wireless) connectivity, the 400B5C offers everything that is new and expensive. The LAN (82579V Gigabit Ethernet) and WLAN chipsets (Centrino Advanced-N 6235) are both made by Intel and belong to the absolute high-end class. The wireless adapter has two antennas and supports Dual-Stream (2x2), which allows a maximum transfer rate of 300 Mbit/s. 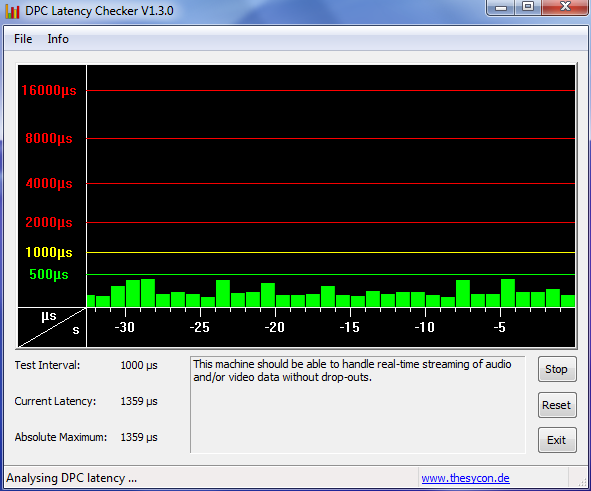 The user also has access to both the 2.4 GHz and the 5 GHz bandwidths. The usual IEEE standards 802.11a/b/g/n are of course also supported. 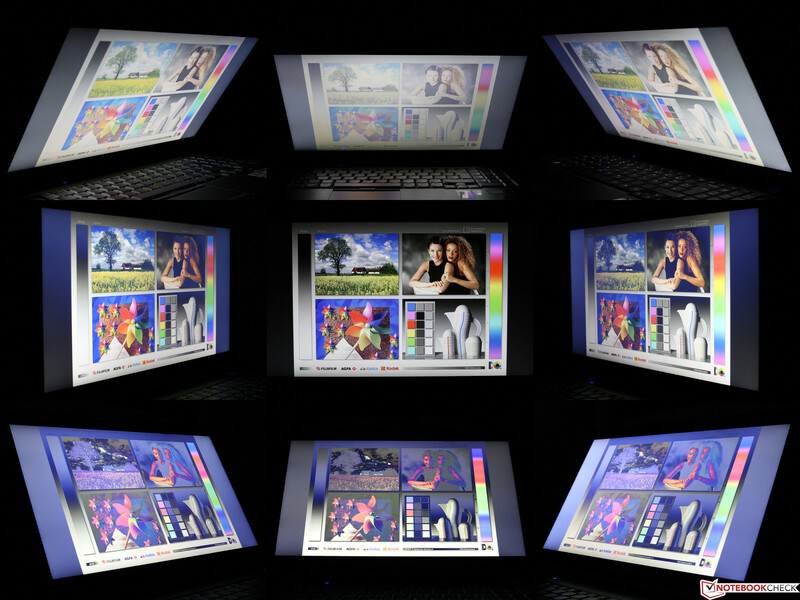 The adapter also features Intel's vPro, Wireless Display and Active Management technologies. 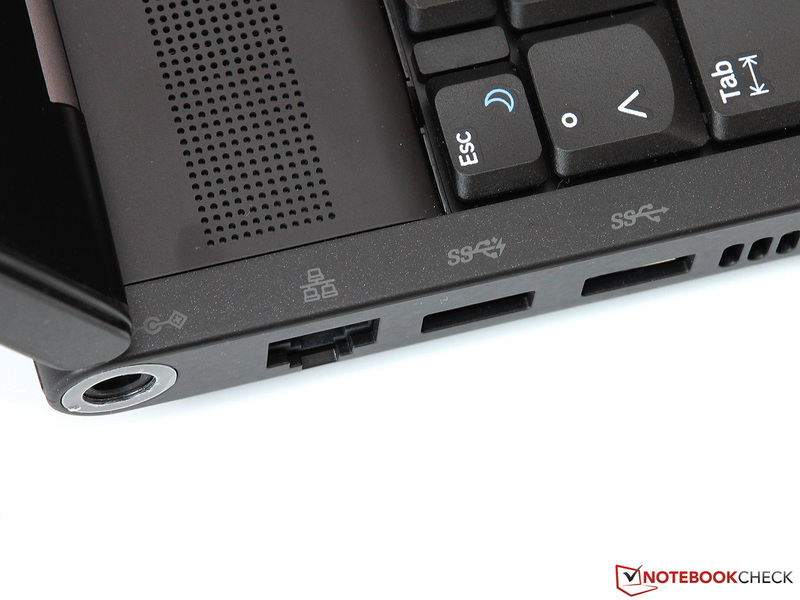 In addition, the Advanced-N 6235 also houses the Bluetooth 4.0 connectivity. The 400B5C maintains a stable and high-performance connection even in difficult conditions, through several concrete walls for example. Most consumer notebooks cannot maintain a reliable connection in such situations. On the road, the user also has access to the WWAN adapter (Samsung Kiera2 Wireless Modem), although it does not support LTE, but rather UMTS and HSPA (up to 21.1/5.76 Mbit/s). The 1.3 megapixel webcam, located above the display, provides a good and relatively low-noise image quality, which is more than enough for simple video chats. The manufacturer has installed a high-quality array microphone to the left and the right of the camera, which scores points with a very clear voice reproduction. 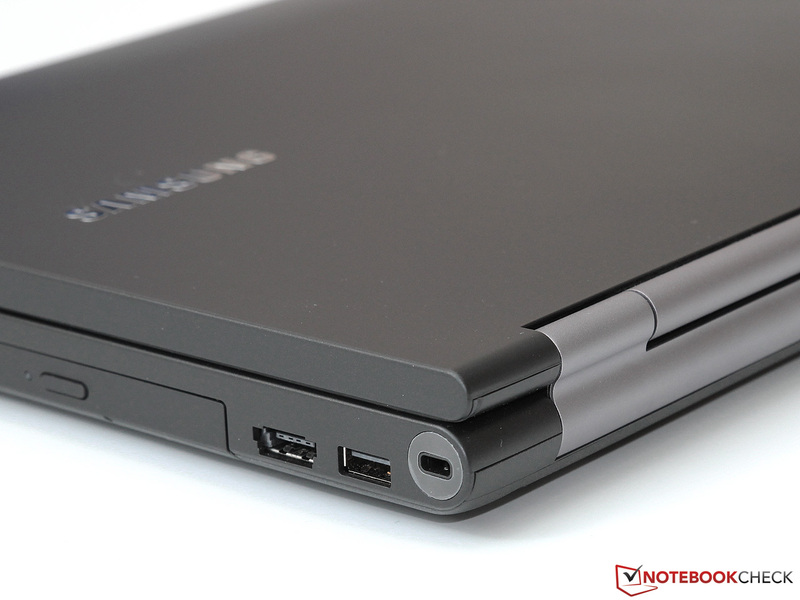 The safety features are one the most important characteristics in a business notebook. After all, the cost of lost or stolen data can exceed the value of the hardware many times over. Therefore, the 400B5C is equipped with Intel's Small Business Advantage Tools, a fingerprint scanner, as well as a TPM (Trusted Platform Module) by Infineon. We have summarized all the details of the individual features and the technologies behind them in our FAQ article. Samsung has limited the accessory package to only the essentials and has included a recovery DVD along with the power supply of the notebook. The software package on the other hand is far more extensive. In addition to the obligatory anti-virus protection (demo version of Norton Internet Security), the user also has access to several system tools (Samsung Easy Settings, various backup options), as well as applications for the webcam and the aforementioned fingerprint scanner. In order to open the maintenance cover, the user must first loosen one screw, before the tightly fitted plate can be removed. All of the notebook's hardware slots are occupied, except the one free RAM slot. 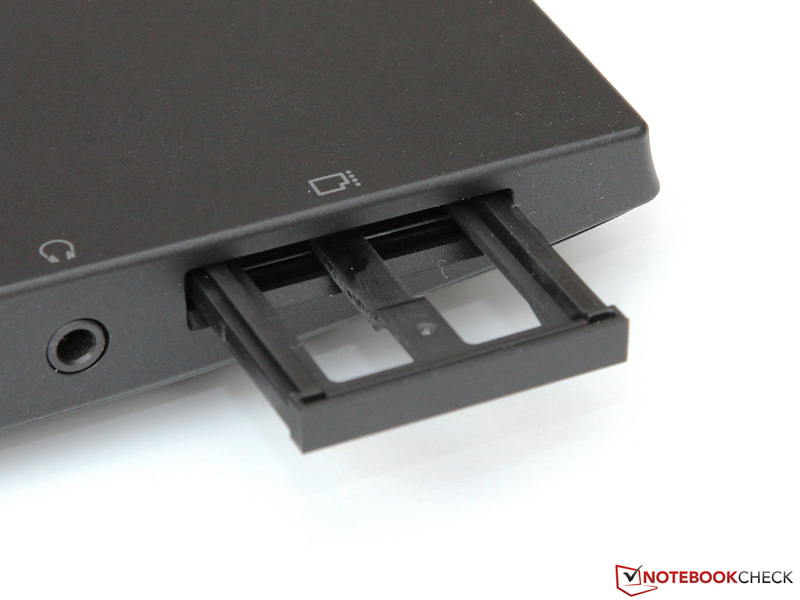 The 2.5-inch bay is taken by an mSATA SSD in combination with an adapter, both mini-PCIe slots are occupied by the WLAN and the UMTS modules. The WWAN adapter probably can be replaced by a second mSATA SSD, but we did not test this ourselves. The notebook comes with a 2-year warranty including carry-in service, the duration of which can be increased with various additional packages. The surcharges seem to be quite fair: depending on where you buy it from, one more year of warranty will cost you 60 to 70 Euros (~$78 to $91), which makes sense given the price of 1000 Euros (~$1311) for our top-of-the-range model notebook. 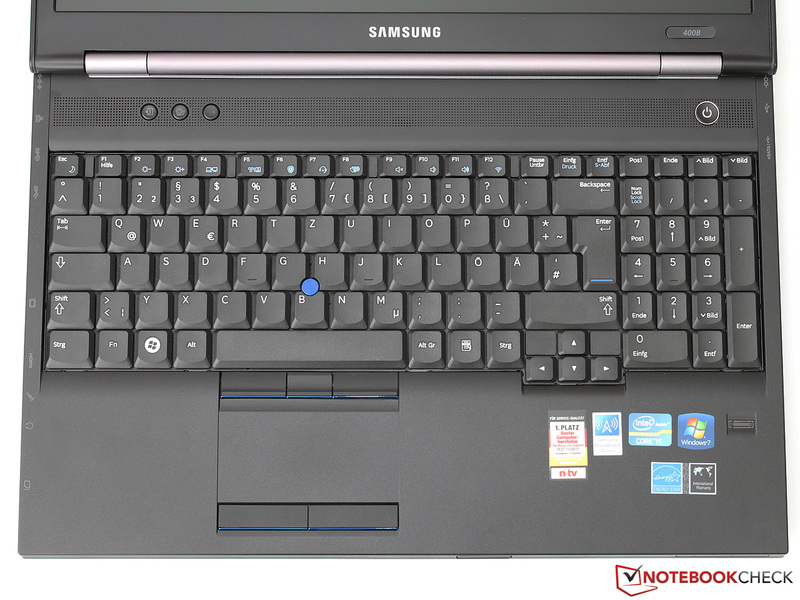 Samsung has resisted the usual chiclet trend and instead has equipped the 400B5C with a spill resistant keyboard with the conventional notebook layout. Typing enthusiasts will be pleased with the 19 x 19 mm keys, which are not only sufficiently large, but also have a slightly concave and very ergonomic surface. A minor drawback is the lack of backlighting, although the number pad and the three handy shortcut keys above the keyboard (computer locking, webcam on/off, wireless on/off) make up for it. Even when viewed critically, the typing experience comes very close to our idea of perfect. The keyboard has a generously long key travel for a notebook, which delivers an excellent feedback in combination with the crisp stroke. Nothing rattles or wobbles - the keyboard does not give in even under a strong press. 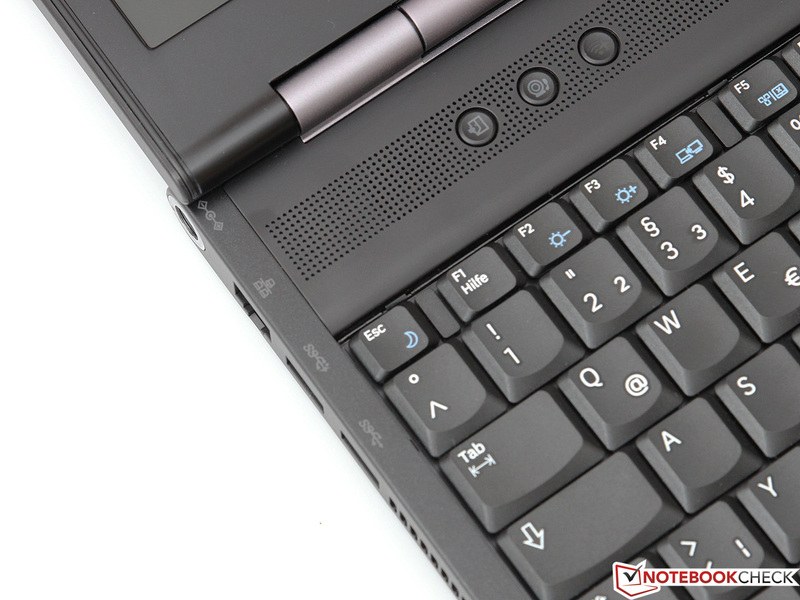 As a result, the 400B5C can easily compete on the level of the beloved ThinkPad keyboard by Lenovo, especially since the latter has transitioned to chiclet style in the latest generation. Like many other business notebooks, our test candidate offers two alternatives as replacement for an external mouse. 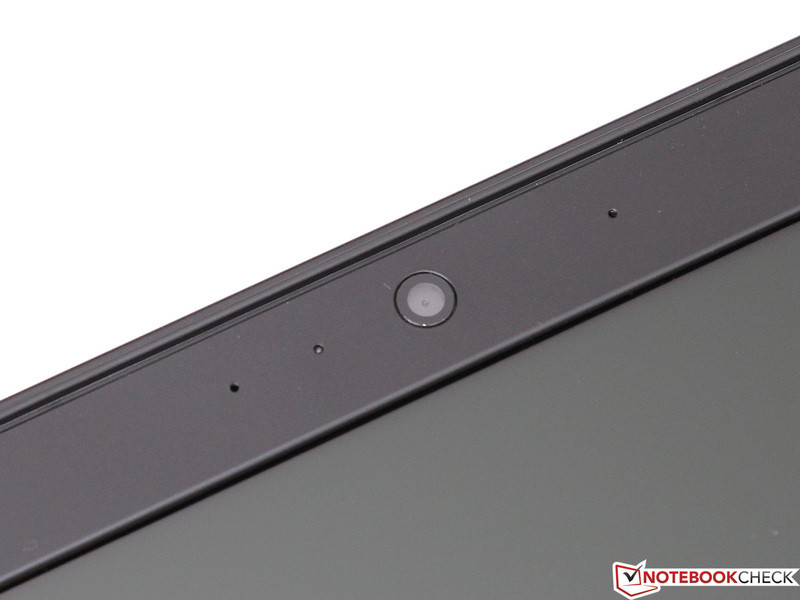 First is the 8.7 x 4.5 cm large touchpad, which is made by Synaptics. Unfortunately, the unusually structured and slightly rubberized surface does not offer ideal gliding properties, which is especially true for sweaty fingers. 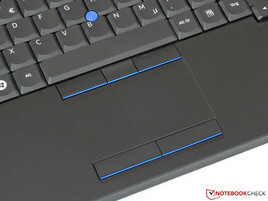 However, the touchpad is very precise and responsive and has two dedicated mouse buttons with a soft click. 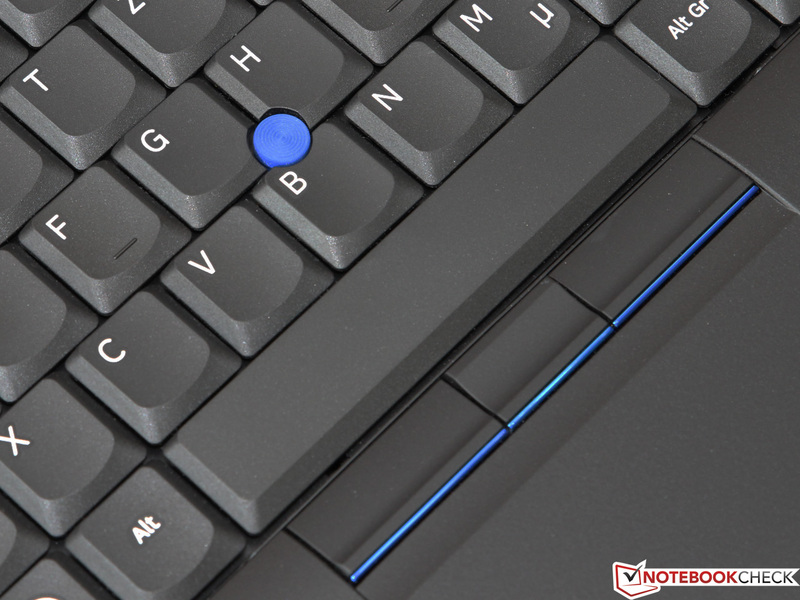 If you prefer the classic TrackPoint, the little blue dot is located in between the letters G, H and B. Unlike the Lenovo, the surface here is completely flat instead of curved, which somewhat complicates precise operation. However, we got used to this after some time and enjoyed using the comfortable new form. The corresponding mouse buttons and scroll function show an exemplary level of quality and do their job quietly and unobtrusively. 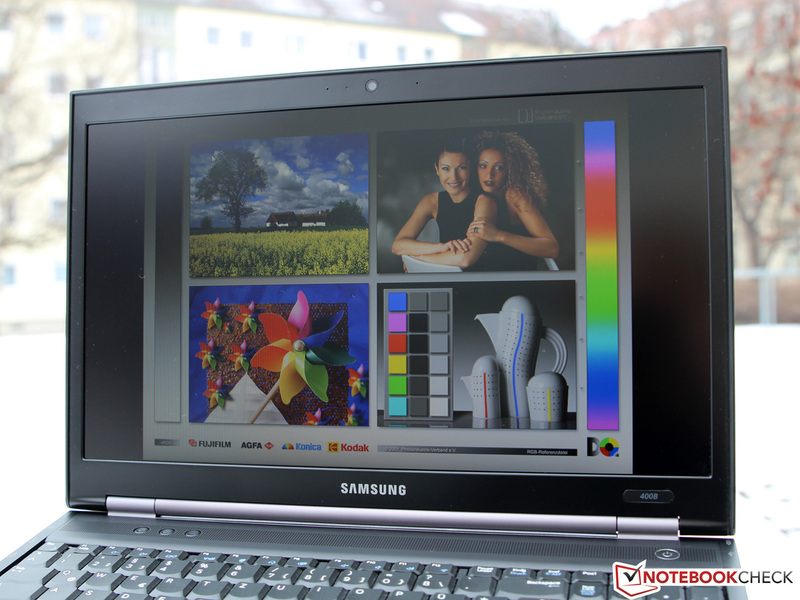 While the Latitude E6530 and the ThinkPad T530 at least offer the option of a high-resolution WXGA++ or WUXGA display, the Samsung 400B5C is available only with a simple 15.6-inch WXGA panel, which has a resolution of 1366x768 pixels. The limited working space hinders the use of complex software or multitasking immensely. Also, the image seems somewhat pixelated - 100 dpi is not really up to date in our eyes. But a better display will cost you more even if you choose one of the rival notebooks. Samsung advertises its display as "SuperBright", which sounds slightly exaggerated in view of the measured brightness of 230 cd/m² (T530: 220 cd/m², E6530: 278 cd/m²). The non-uniform illumination also could do with some improvement. In the center of the panel the LED backlight is significantly brighter than at the edges of the screen, although this is hardly noticeable with the naked eye in most situations. 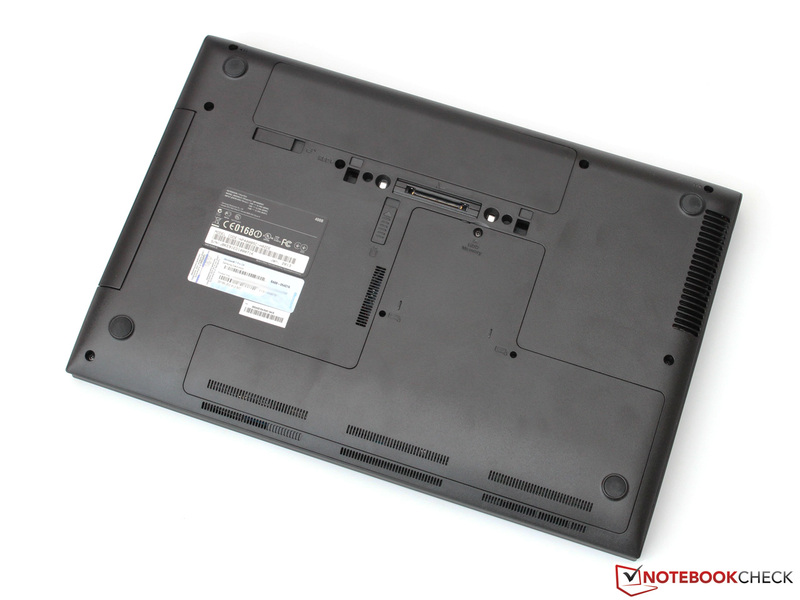 The display, which is manufactured by Samsung itself, is based on the same TN panel that we can find in entry-level notebooks such as the 300E5A (LTN156AT190). Unfortunately, this carries the correspondingly low results. The high black level of 0.98 cd/m² is responsible for the relatively bland image and low contrast ratio, which we measured at 268:1. The rivals from Dell, Lenovo and HP are significantly better, although we tested their models with premium displays, which do come at a surcharge. In order to evaluate the color reproduction, we measured color accuracy, coverage and saturation of the display without calibration in its factory state. 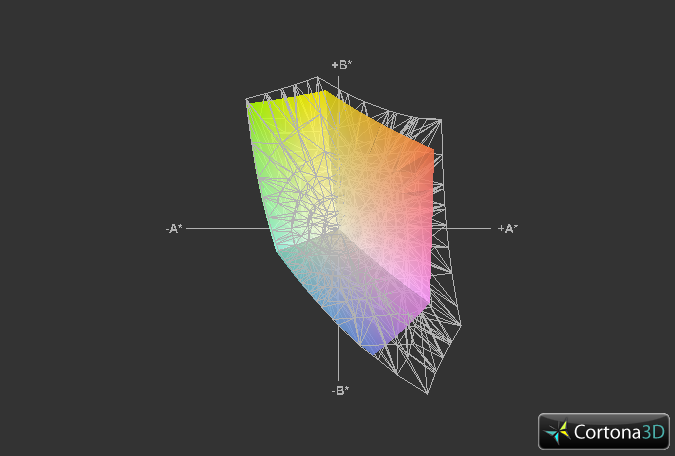 We would like to note here that the 400B5C is not specifically designed for professional graphics editors. In all of the above mentioned disciplines, the notebook showed average results at best with the usual blue tint and limited color space coverage (57% sRGB) being the notable weaknesses. The maximum brightness, which does not decrease on battery power, could have been slightly stronger. In theory, the notebook is suitable for outdoor use thanks to the display's matte surface. In most situations, as long as the sun does not shine directly at the screen, the content on the display remains readable. As a large 15-inch device, the 400B5C is designed more for desk use. Unlike an IPS or a VA panel, the TN display is very sensitive to changes in the viewing angles. The usual problems arise from this: even a small deviation upwards or downwards leads to color inversion and contrast loss beyond recognition. At least the horizontal viewing angles are more forgiving. Therefore, the user should always try to sit centrally in front for the monitor, so that the viewing angle is as close to vertical as possible. 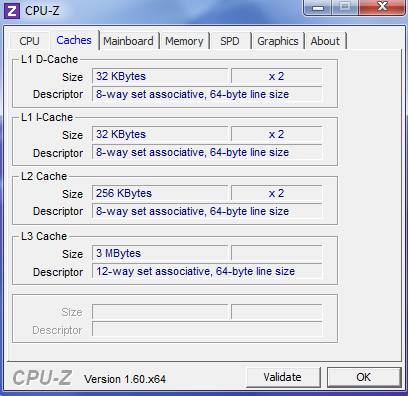 In terms of processor, the user can choose between Intel's Core i3-3110M and the Core i5-3210M. 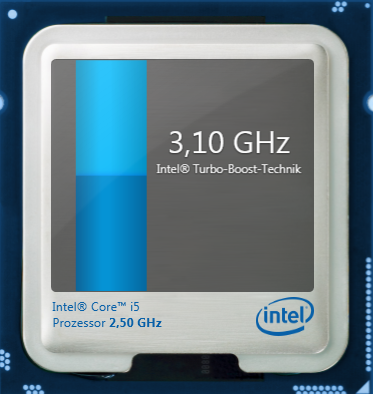 Our test model is equipped with the slightly faster Core i5 one. 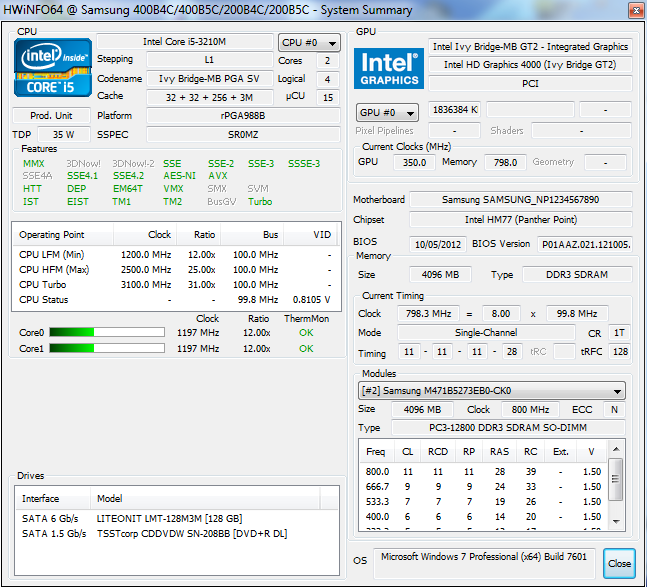 The dual-core CPU is part of the Ivy Bridge generation, which was announced almost a year ago. It is manufactured in the advanced 22 nm technology. Thanks to the Turbo Boost 2.0, the 3210M can increase its base frequency from 2.5 GHz up to 3.1 GHz (2.9 GHz when both cores are under load). The processor also supports Hyper-Threading technology, which allows up 4 threads to be calculated simultaneously. Intel has specified a TDP of 35 W for the whole chip. This value is rarely reached, even under full load. The 400B5C is offered solely with the integrated HD Graphics 4000, which is extremely efficient, but is only really suitable for undemanding 3D applications. 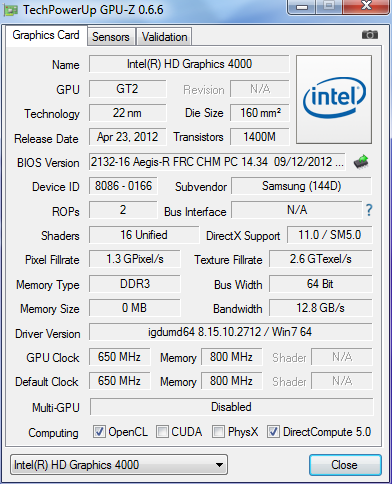 In the case of the Core i5-3210M, the GPU works at 650 up to 1100 MHz (Turbo) and shares the 3 MB of L3 cache with the CPU. In terms of memory, the notebook is equipped with a 128 GB SSD and 4 GB of RAM, more precisely a single 4 GB DDR3 1600 module. Unfortunately, the system memory works in single-channel mode, which hinders the graphics performance in some situations. However, this has no effect on the performance of the processor. Also, a future upgrade is possible. In terms of price and performance, the Core i5-3210M is currently in the middle of Intel's product line. In Cinebench R11.5 it achieved a score of 2.88 points. 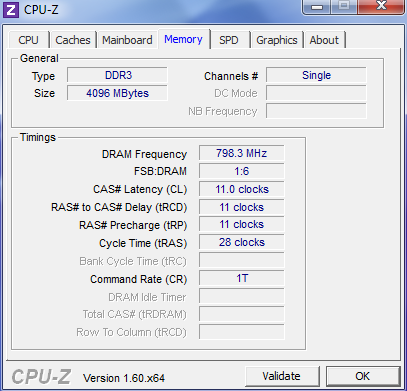 The maximum clock frequency of 2.9 GHz is held constantly under full load, which is the reason for this good result. 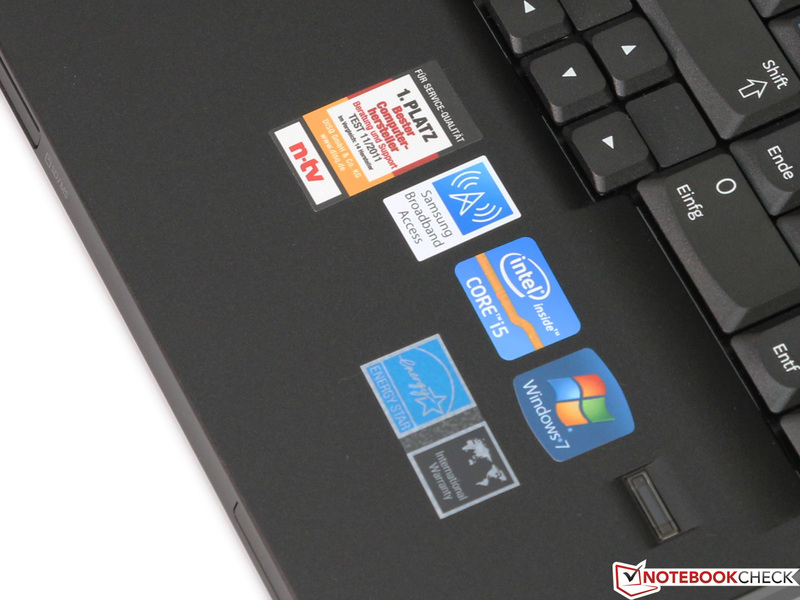 Even the Lenovo ThinkPad T530, equipped with one of the fastest (and most expensive) dual-core processors - the Core i7-3520M, achieves only a 17% better score, which is barely noticeable in reality. A significantly faster option would be the quad-core i7-3632QM, which offers almost double the performance with 5.8 points, provided that the application can take advantage of the additional threads. Surprisingly, Samsung had not equipped the 400B5C with one of its own hard drives, but rather uses an mSATA SSD by Lite-On. It carries the name LMT-128M3M and has a gross capacity of 128 GB, of which only about 96 GB remains free after we take into account the recovery partition. In combination with the Marvell flash controller (88SS9174), the SSD is almost as fast as the Crucial m4 and the Intel SSD 510, both of which are known for reliability and performance. The latter is undeniably proven by our measurements: the AS SSD benchmark confirmed that the LMT-128M3M has sequential transfer rates of almost 500 MB/s when reading and more than 300 MB/s when writing. 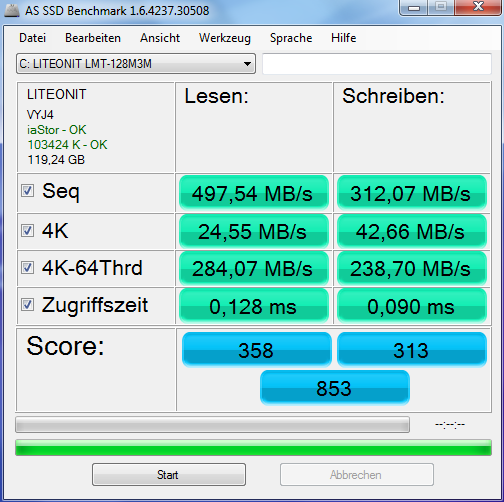 In combination with the excellent results of the 4K test, the SSD is placed in the upper end of our HDD/SSD rank list. Thanks to the fast SSD and not so slow processor, the 400B5C scored 12777 points in PCMark Vantage and leaves its rivals several thousand points behind. 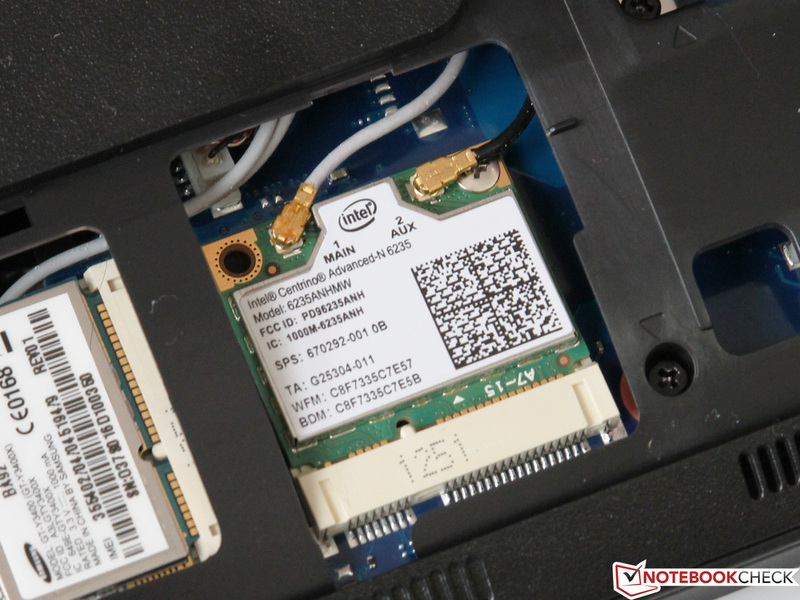 But this comparison is not entirely fair, because the competitors from HP, Dell and Lenovo lack an SSD, which is the component that the PCMark series benefits the most from. Ideally we would have liked to present you the results of the PCMark 7 as well, but unfortunately the benchmark crashed within the first few minutes of running and did not produce any usable score. In practice, our experience confirms the results of the synthetic benchmarks. Rarely does the user feel the need for more processing power, with the only exceptions being extremely demanding application such as HD video editing and simulation programs. 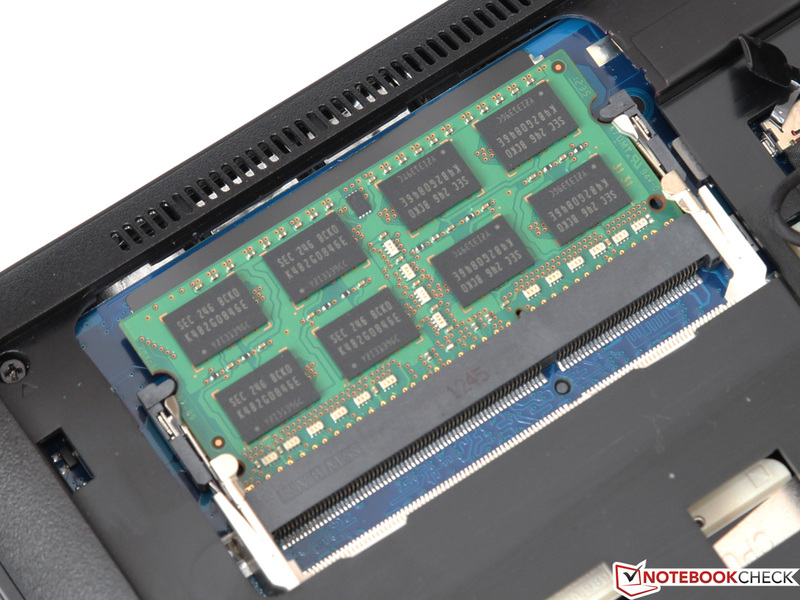 We advise the cost-effective upgrade of a second RAM module, bringing the total to 8 GB. The HD Graphics 4000 is primarily designed for multimedia tasks such as decoding and encoding videos. The chip completes them without difficulties, because nearly all the usual codecs are supported. 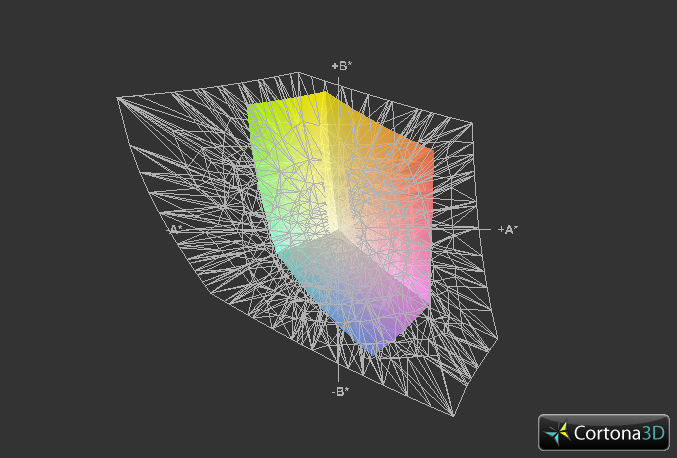 However, the user should not expect much in terms of 3D performance. 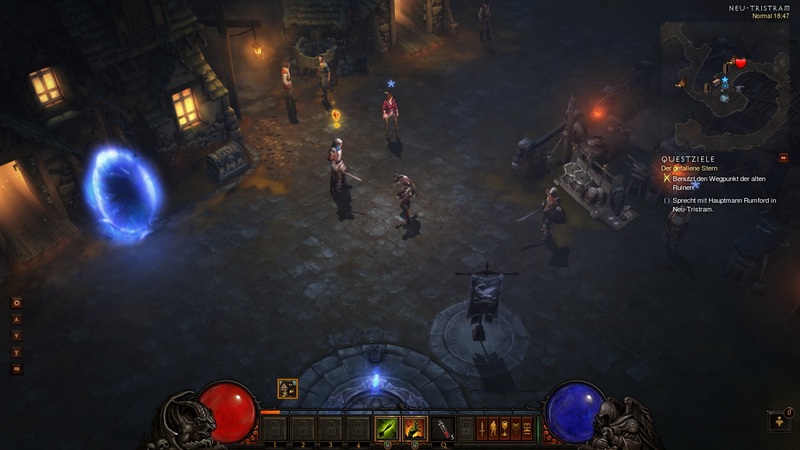 Although the HD 4000 supports DirectX 11.0, the chip is usually too slow for such software. The score of 581 points in 3DMark 11 is on the level of old low-end graphics cards like the Radeon HD 6470M. Of the four games that we tested on the 400B5C, only three were played with smooth frame rates. 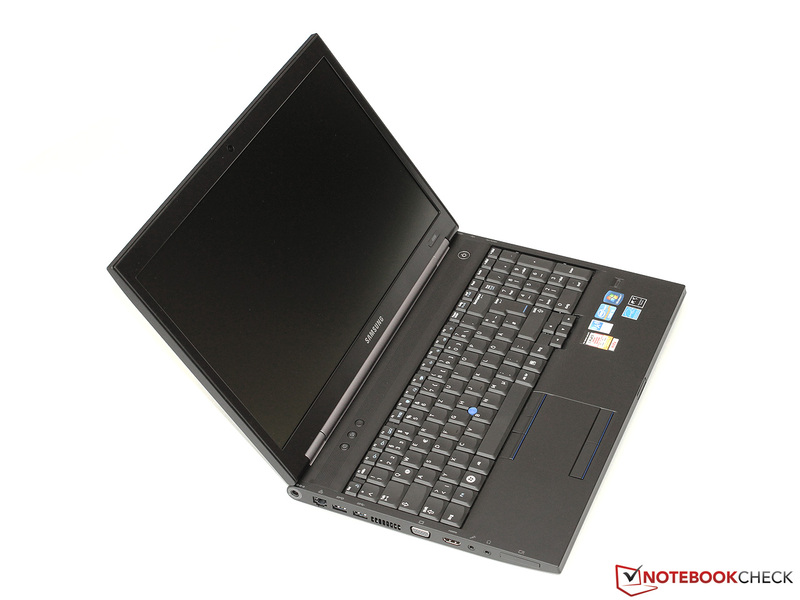 However, we were limited to 1024x768 pixels and low graphics details, which is acceptable for a business notebook. In Battlefield 3 the absence of visual treats is not helping - at 15 fps the title is unplayable even in the lowest quality settings. Nothing can disrupt concentration more than the loud and unpleasant working noise of a notebook. The Samsung 400B5C makes no mistakes in this discipline and is almost completely silent in most situations. The fan is permanently active, even in idle state, but it operates at such a low rotation speed that the resulting noise level of 31.4 dB(A) is almost inaudible. Thanks to the SSD, any noises from the data storage device are also eliminated. 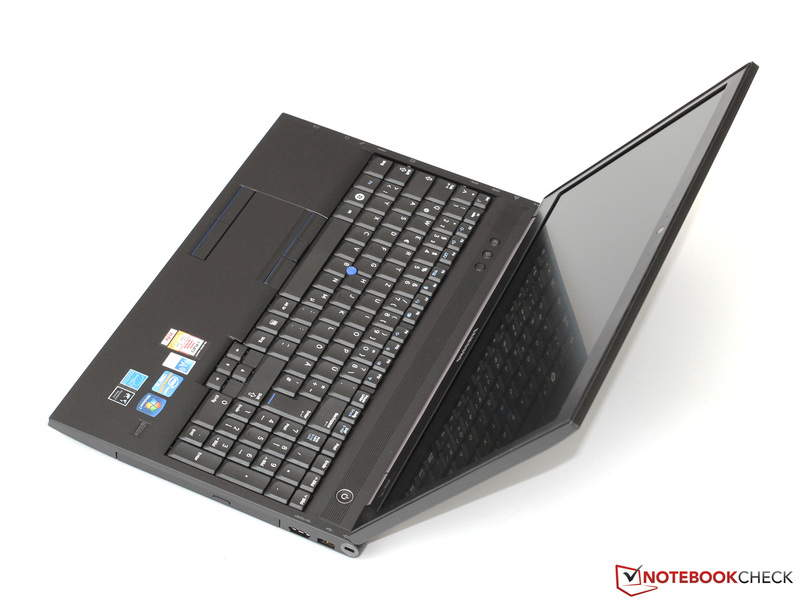 The notebook performs just as well under load. Except for our impractical stress test, the maximum noise level we measured was 33.4 dB(A). Most other notebooks produce such noise in office use. The loudest source of noise in the laptop is the DVD drive, producing 36.6 dB(A), but that is of concern only if you use it regularly. 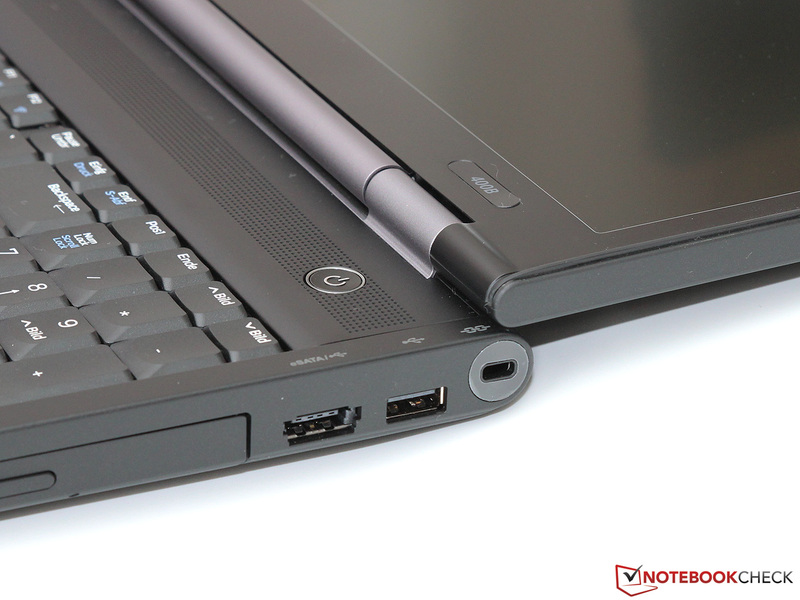 Among the other competitors, only the ThinkPad T530 was as quiet. Intel's Ivy Bridge processors are characterized not only by their performance, but also by their particularly high energy efficiency, which is mainly due to the 22 nm manufacturing process. The low temperature of the Core i5 only heats up the housing moderately. Depending on the use, we measured average surface temperatures of 26 to 30 °C, which means that working with the notebook on the lap is not an issue. 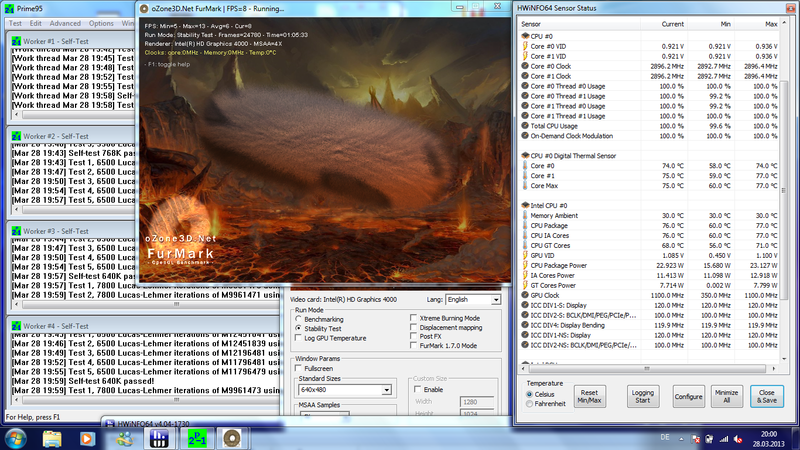 After about an hour of running FurMark and Prime95 simultaneously, the CPU temperature reached 75 °C. According to the manufacturer, the safe maximum is 105 °C. 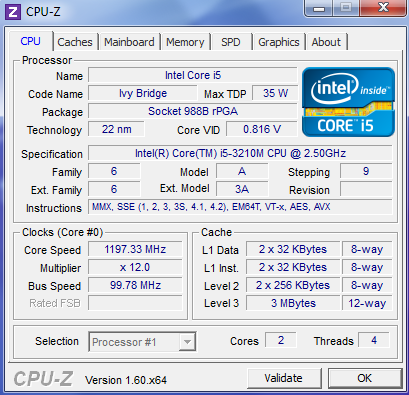 Both the CPU and the graphics chip held their respective maximum Turbo frequencies (2.9 and 1.1 GHz). This means that throttling and stability will not be a problem, even in summer. In view of the usual office standards, the two stereo speakers above the keyboard are completely satisfactory. Highs and mids are reproduced cleanly and with a remarkable maximum volume, but the sound lacks bass. The system is more than enough for watching videos, but audiophiles are advised to use headphones or external speakers. These can be connected either via the HDMI, or via the 3.5 mm jack. 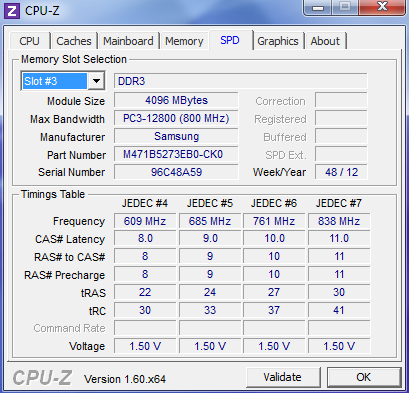 The energy consumption of 9.4 up to 13.2 W in idle makes the 400B5C quite unremarkable. The notebook is neither the most efficient, nor the most inefficient in the business class. Under high load, the consumption rises to 36.7 up to 44.2 W. Although this seems like a very good result in comparison to rivals such as the ThinkPad T530 (up to 81.9 Watt), we must note the difference in the hardware configurations. The included power supply (60 W) has more than enough power reserves. 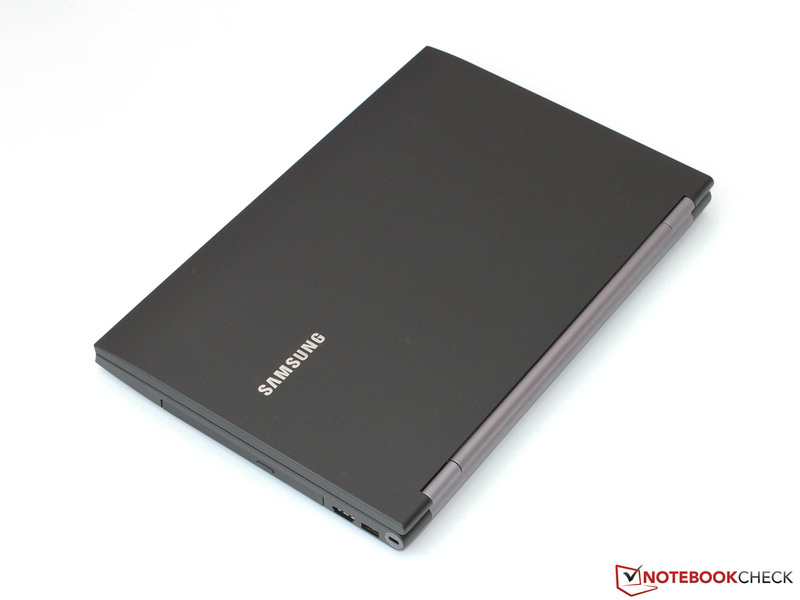 The removable 48 Wh battery of the notebook should last up to 6 hours according to Samsung, which is not an unrealistic promise. Under optimal conditions (minimum brightness, deactivated wireless modules, energy saving profile), the Battery Eater Reader's test even produced 6 hours and 35 minutes. In reality, such runtimes are impossible. 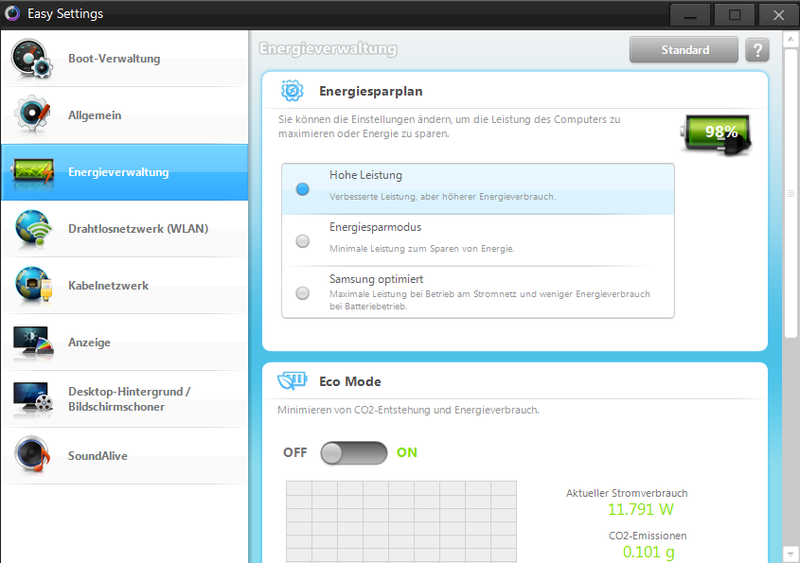 With WLAN active and medium brightness (about 150 cd/m², energy saving profile), our test model lasted little over 5 hours. Seen on its own, this is a respectable result. 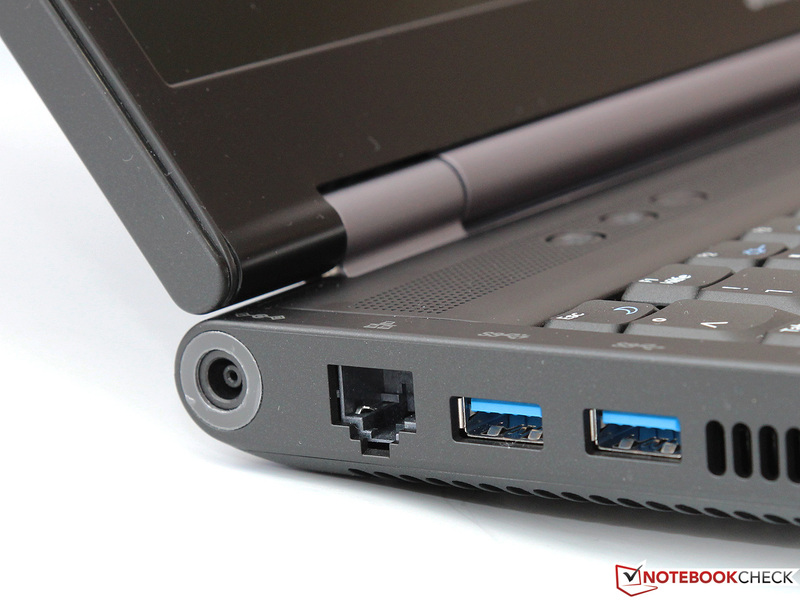 An optional "power battery" with a higher capacity, Lenovo's T530 is available with a 9-cell 94 Wh battery for example, would make the 400B5C even more attractive. The manufacturer has throttled the processor slightly on battery power (maximum Turbo up to 2.5 GHz), which leads to a 15 to 25% performance drop. However, the battery life benefits greatly under high load. Even in the Battery Eater Classic test (maximum brightness, active wireless modules, high performance profile), the notebook lasted 1 hour and 50 minutes, a significantly better result than most rivals. Samsung promises that even after 1000 cycles the battery will still have 80% of its original capacity, thanks to an intelligent charging management. It doesn't always need to be ThinkPad. This is the conclusion of our review. 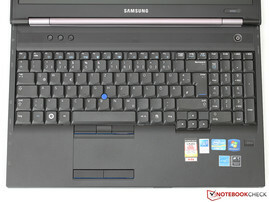 The Samsung 400B5C is a solid business notebook with numerous strengths and few, mostly unimportant, weaknesses. We would like to briefly summarize our key observations. In the crucial disciplines for an office notebook, we can award an almost entirely positive mark. 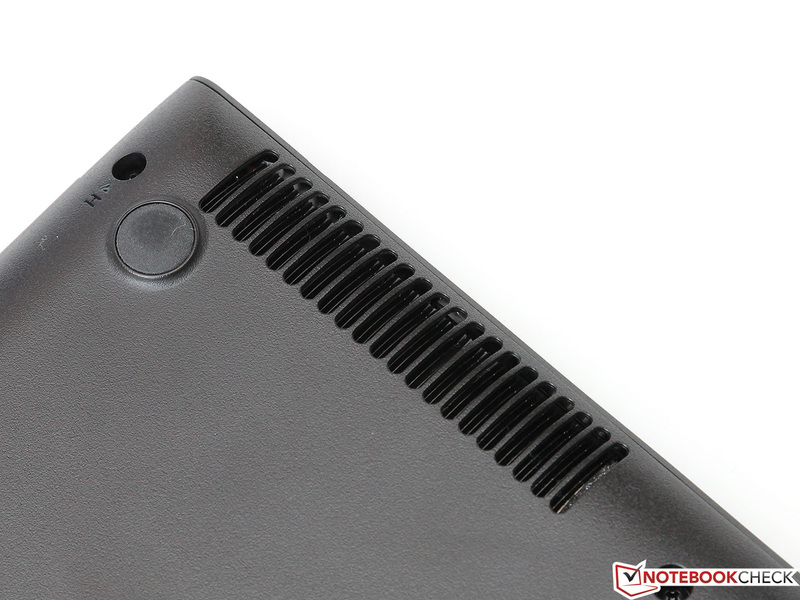 Workmanship and stability of the case are exemplary, the interface package is comprehensive (even with the missing DisplayPort) and the temperature and noise emissions are minimal. We would especially like to highlight the great keyboard, which is among the best in its class. Unfortunately, Samsung counters these promising advantages with a mediocre display. 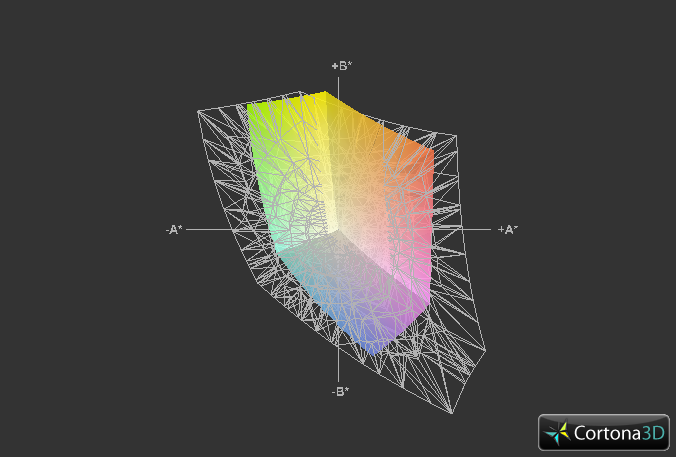 Viewing angle stability, contrast ratio and resolution are the biggest criticisms. The fierce price competition with other manufacturers may have prevented the choice of a better display. Even the rivals offer high-quality displays only at a surcharge. 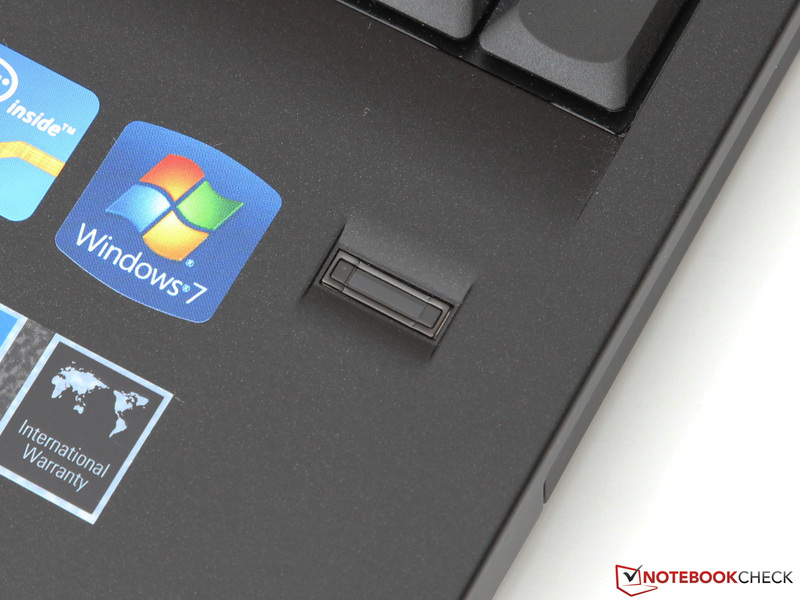 Thanks to the decent brightness and matte surface of the display, the notebook is suitable for outdoor use and users can always connect an external monitor. Apart from the last point, the 400B5C is a successful alternative to the models offered by HP, Lenovo and Dell, even though the price of just over 1000 Euros (~$1311) is no bargain. In addition to the touchpad, a TrackPoint was also installed. A fingerprint scanner is mandatory in this class. 1.3 megapixels is enough for a decent image quality. but with a bit of skill is doable even by beginners. UMTS modules can also be replaced easily. 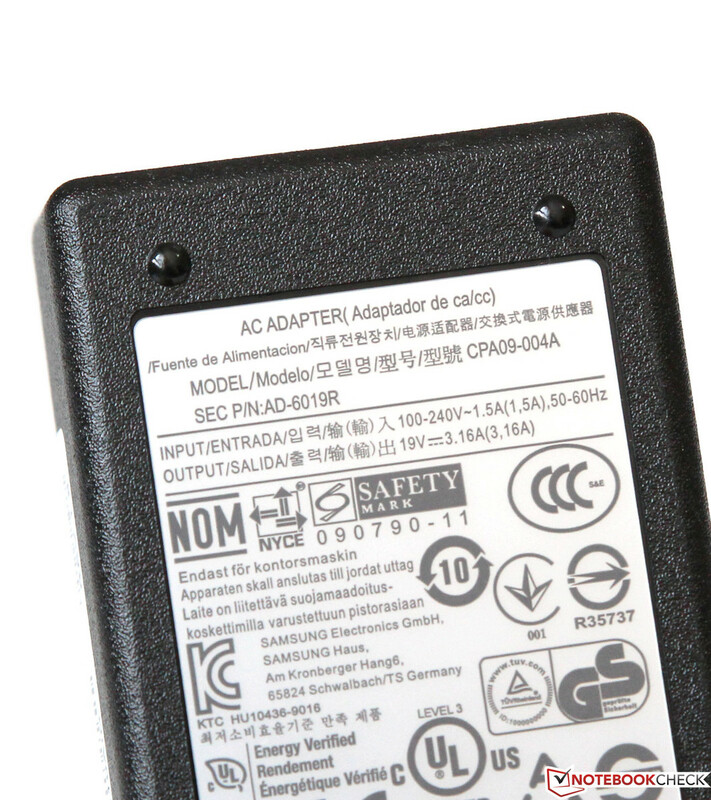 The SIM card slot is behind the battery. we find an mSATA SSD with an adapter. the great typing experience leave a positive impression. is not a feature of the Samsung 400B5C. are primarily because of the focus on ergonomics. allow a generously wide opening angle. include almost all the usual ports. and one USB 2.0 also supports eSATA. Docking station allow upgrading to other ports. 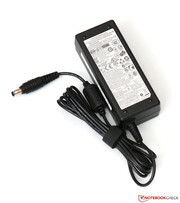 the power supply has enough reserves even under full load. 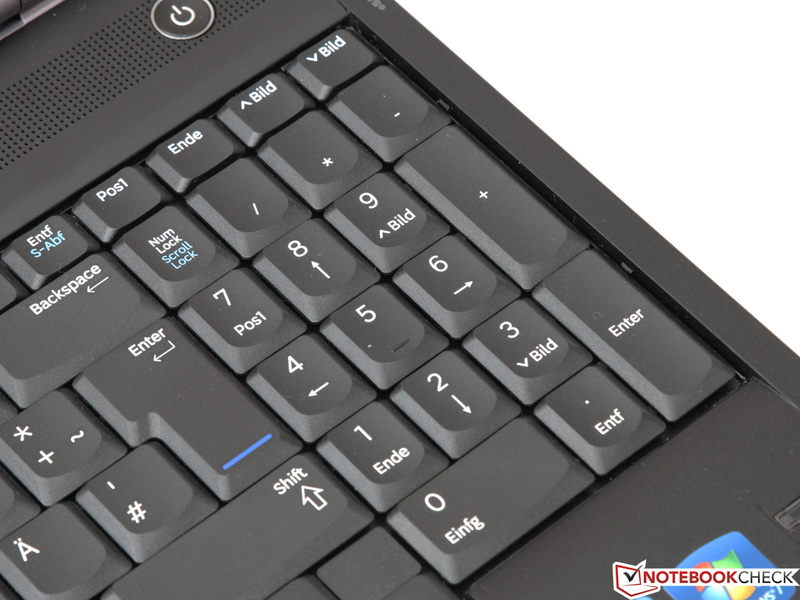 Among its other strengths, the 400B5C stands out with its premium keyboard. 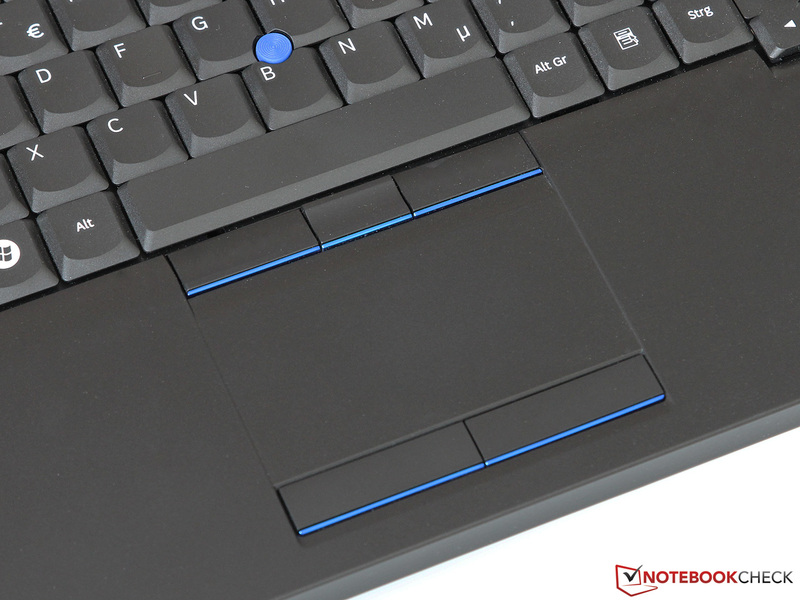 The non-chiclet design and precise tactile feedback provide a fantastic typing experience. If only Samsung integrated a backlight, even the last small criticism would be gone. Clearly, a simple WXGA display, such as those found on entry-level laptops for less than 400 Euros (~$520), seems hardly appropriate for a business notebook that is two or three times as expensive. At least the user should have the option of choosing a high-quality panel at a surcharge. Surprisingly, Samsung offers the 400B5C in only a few different variations. We could have imagined configurations with a dedicated graphics card or a quad-core CPU, because the cooling system is definitely adequate. 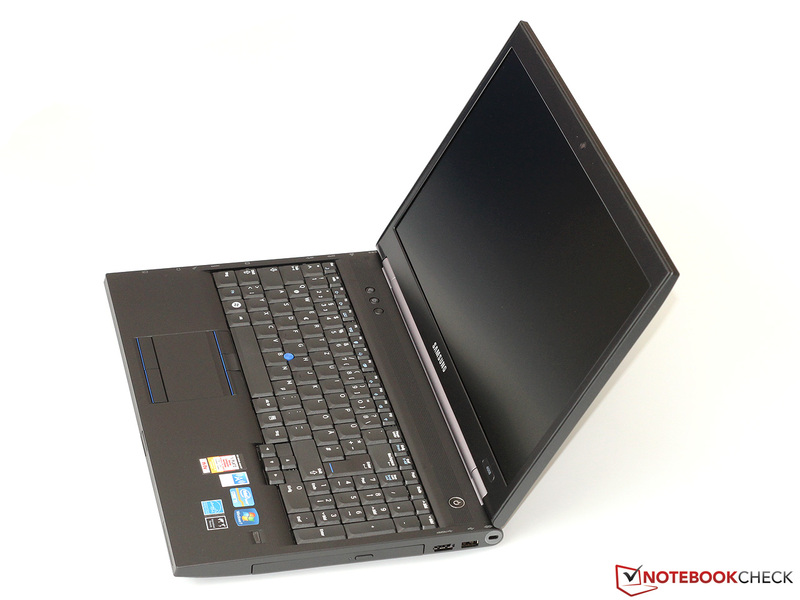 Similar professional models are offered by HP (ProBook 6570b), Dell (Latitude E6530), Lenovo (ThinkPad T530) and Toshiba (Tecra R950).